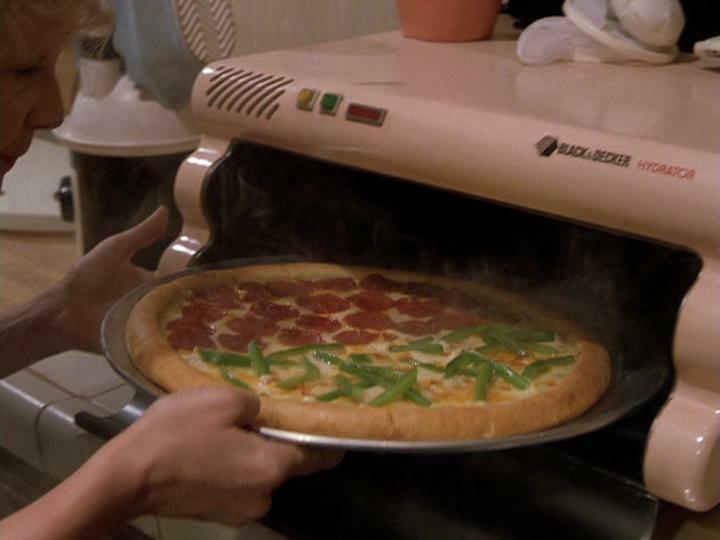 It’s a shorter episode this week after the beast that was 30, and in preparation for the third special, but it’s still packed full of goodness – just like a Chicago style pizza. Gomer2 tried Jeff Galloway’s Run-Walk-Run for the first time, while Gomer1 tells his tale of a “dress rehearsal run” gone awry. Oh well, there’s always next time, right? Plus some Double Down Debrief, the value of an X in Scrabble, whether Rudy really won, and pining for re-hydrated future-food. Yum, that looks good, old Lea Thompson! And all your back-to-the-basics favorites: Week in Review, Listener Feedback, and two new Songs To Run To. Happy Running! This week’s Monday Survery: What training do you do as a runner, besides running? Weights? Cross Training? Working the ball? Let us know! Besides running 5 days a week (long run, recovery run, 10k, speed or hill repeats, and Friday half hour run) I do yoga to a 30 minute video 5 mornings a week. I also follow a weight lifting plan I learned from the Biggest Loser website which I paid for a couple of years ago. I change the weights every three months according to their recommendation. But the plan is basically built like this: 4 upper pull, 4 lower body, 6 core, and 4 upper push. 12 reps of each, and repeat the whole shootin’ match twice. It takes about 30 minutes, 3 times a week. It’s a good way to get killer shoulders for the summer. My reasoning behind all of this extra work besides running is that it all makes my running form better (weights) and helps prevent injuries (yoga) which I feel more aware of since I am 38 and am well past the age of calling in sick to work because I hurt myself running. Loved the sleeping late story this week. You just never feel like you can catch up on a day like that. Kudos to Anthony for going out anyway. Monday survey answer: Crossfit! And also biking, but mostly because I don’t have a car…. Hey guys, I’m not seeing the survey question on Facebook like you usually do. Am I just missing it or is it not there yet? Monday survey answer: two days a week I do strength training (increasing weight every 6-8 weeks) and also on these days I do anywhere between 30 minutes to 1 hour of cardio, the type of cardio varies: swimming, elliptical, stair climber, adaptive motion trainer, biking. Also do some intense yoga stretching on these days. In Paris I’ve been mostly doing abs, push-ups, pull-ups, back extensions, squats and lunges. I haven’t been doing any cardio cross-training because I don’t have a good pool here but that’s always a good option. Wow. that hydrated pizza does look good.